For the past few years, horror and Halloween enthusiasts near and far have traveled to meet where all kindred spirits may lie. This gathering of haunting is known as the “Spook Show”, an annual event conjured up by the Halloween Club. 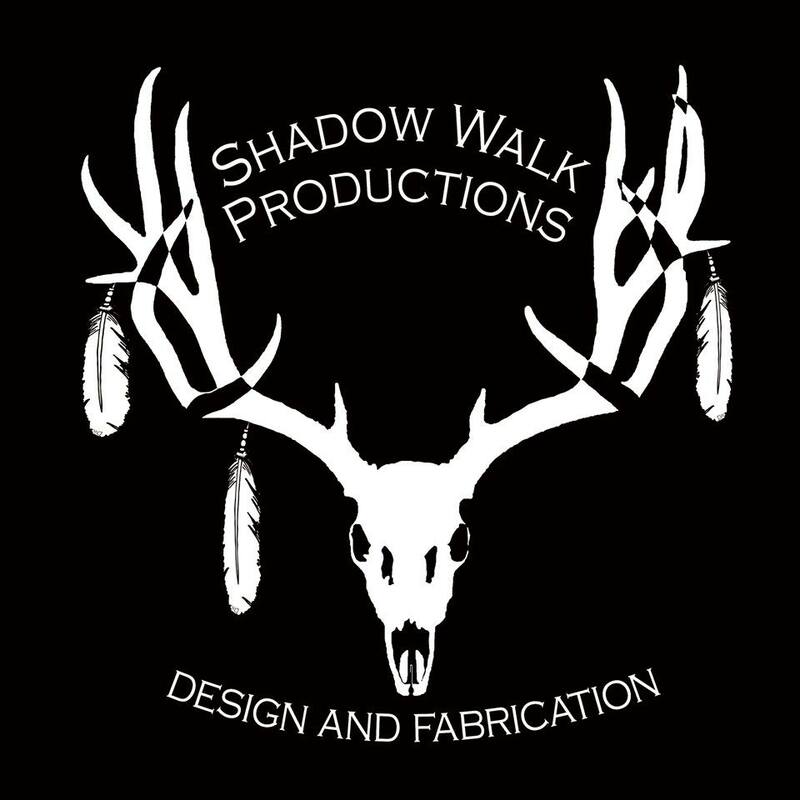 Coming on its 6th annual celebration, Spook Show started with a simple mission: facilitate an outdoor-gathering where local Southern Californian businesses and fellow enthusiasts may come share their penchant for the macabre and support the local community. The Spook Show festival was tightly embraced, and a word-of-mouth-like-sharing-spell spread in alerting fellow ghouls and freaks to come recreate, sell, exhibit, shop, taste, listen, frolic and celebrate the unique culture inspired by the ancient Halloween tradition. The Halloween festival featured over 100 curated local vendors, artists, collectors, teachers, spook makers, spookipreneurs, musicians for like-minded Halloween enthusiasts. Halloween Club held their biggest annual sale event on 1000s of costumes, accessories and decorations. "Haunters: The Art of Scare" also helped sponsor our first panel (available for viewing here). 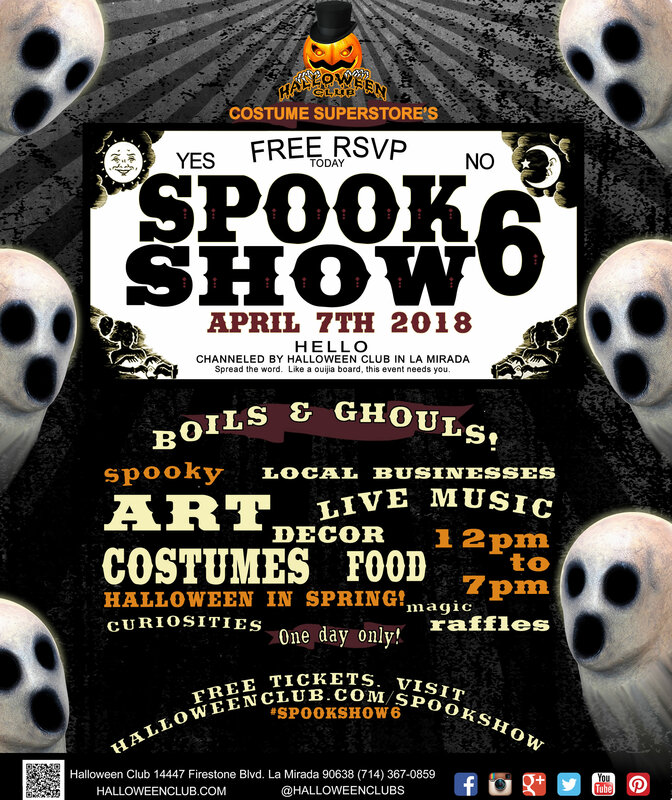 Halloween Club's 6th Annual Spook Show was held on April 7th, 2018, 12pm to 7pm (Small Business Saturday earlybat wristband holders at 11am) at 14447 Firestone Blvd. La Mirada! » Special booking rate at Holiday Inn, click here. » Relive previous Spook Shows here. » Help us improve the event with this survey. Q. I'm interested in donating and/or helping sponsor your event.